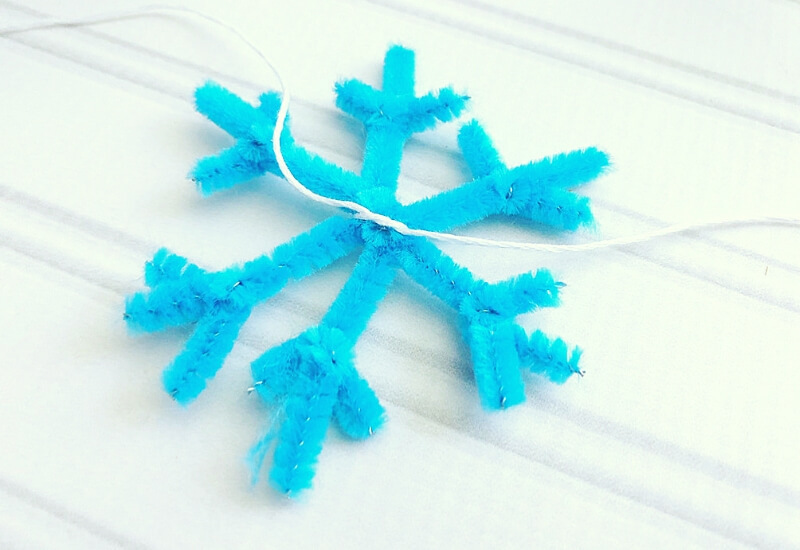 When the flakes start flying, get set up to make your very own sparkling, indoor snowflakes. Or maybe you live among the palm tress and dream of gently falling snow. Either way our beautiful crystal snowflakes are easy to make! 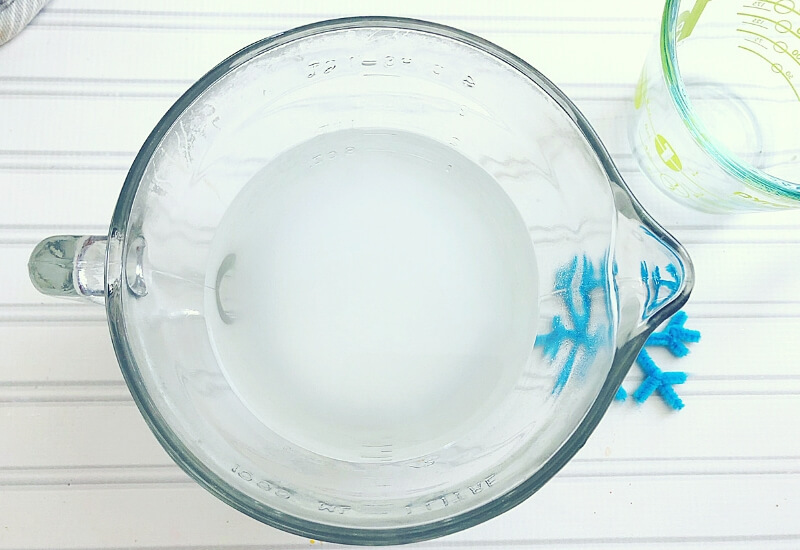 You can enjoy your crystal snowflake ornaments all winter long with our simple borax crystal growing recipe! A classic science activity for homemade kid’s STEM! These crystal snowflakes and icicle ornaments are a set it up and forget about it kind of science experiment! Explore snowflake design with our updated snowflakes below! Science is amazing, and this is one of our favorite winter science ideas. 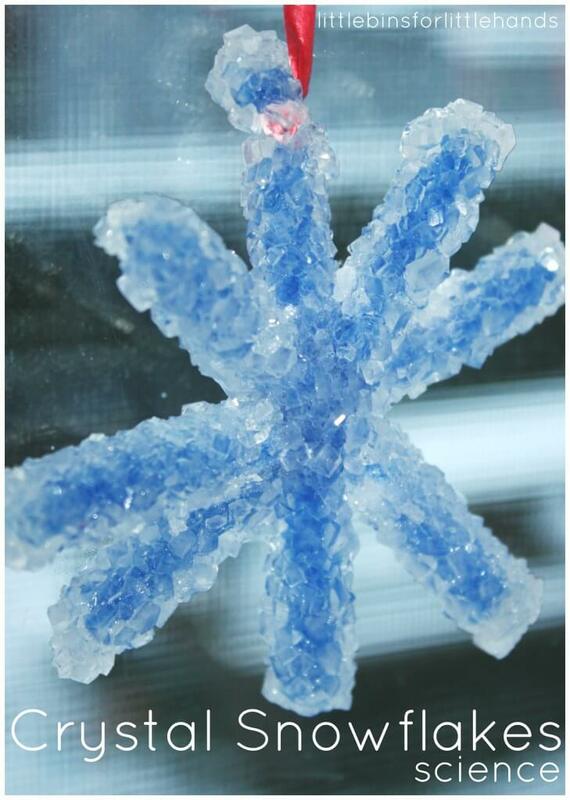 NOTE: If you rather not use borax powder to grow crystals, check out our salt crystal snowflakes. 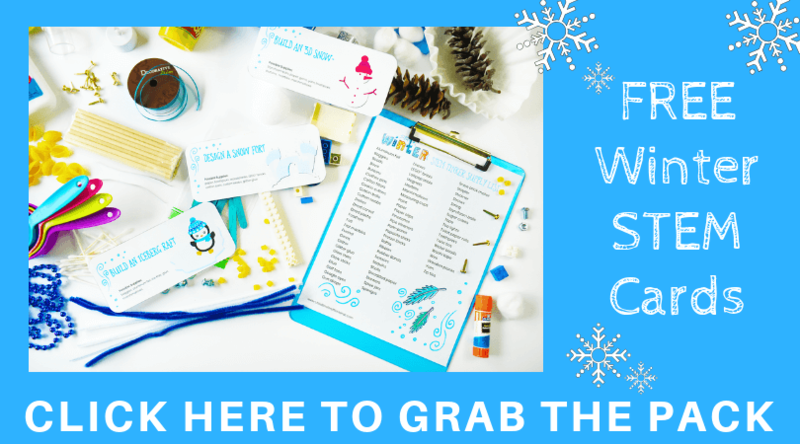 This winter science activity is perfect the youngest scientist! Since you are dealing with hot water, my son watched the process while I measured the solution stirred, and poured it. An older child might be able to help a little more! 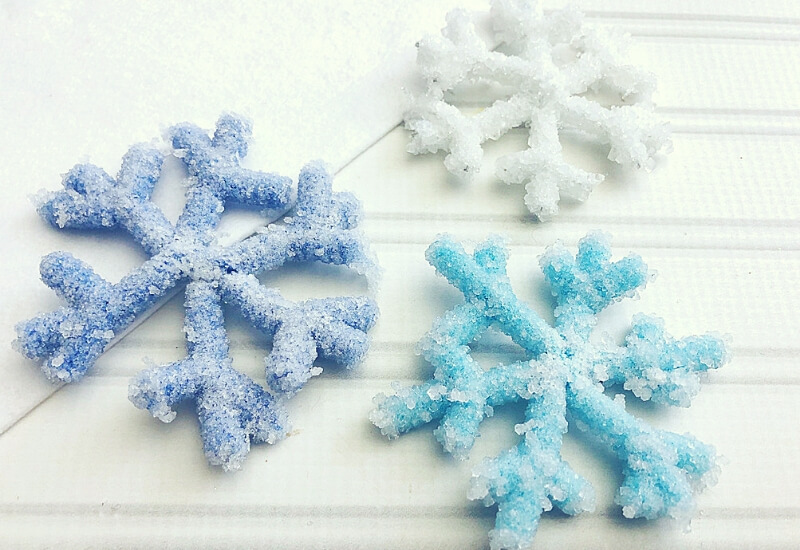 If you need more hands-on, choose our salt crystal snowflakes instead. cut 6, 1.5” pieces of matching pipe cleaner and twist one onto each arm of the snowflake to make it look more snowflake like. 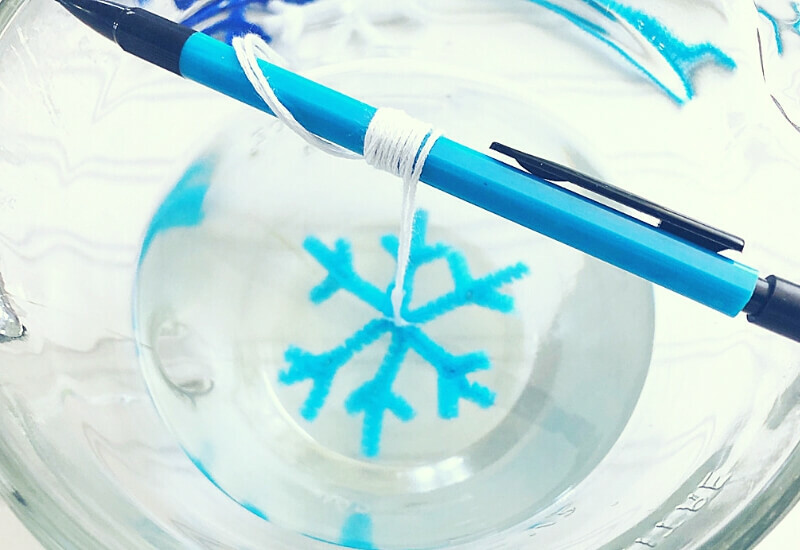 Tie a long piece of string to the center of the pipe cleaner snowflake and wrap the other end around a pencil. For the icicles, my son wrapped the pipe cleaner around a marker to make it curl! Whatever shape you make will look great. Check out our crystal gingerbread man we wrapped around a cookie cutter. Craft your own snowflake designs. Want to learn more about snowflakes, we have put together some great information here. Hint: Double check the opening of the jar with the size of your shape! It’s easy to push the pipe cleaner in to start but difficult to pull it out once all the crystals have formed! 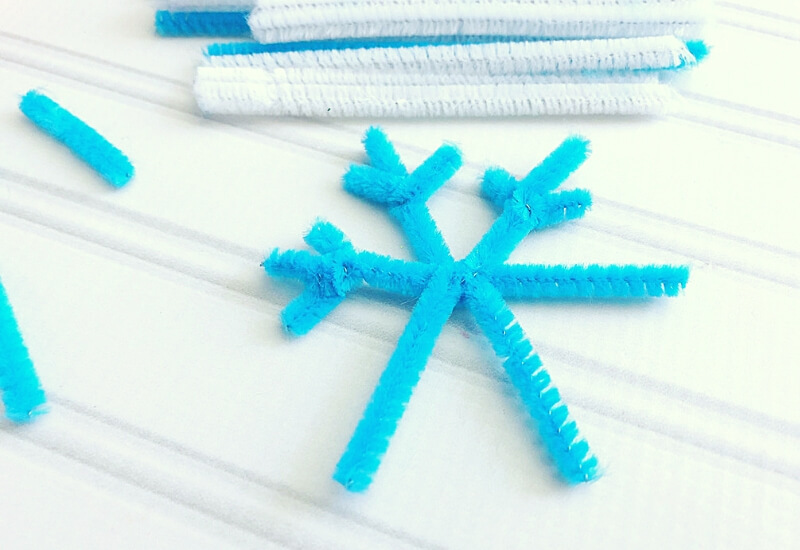 Attach the snowflakes to popsicle sticks and check the length of string too. A good tip is to make sure you have the right string length so that the pipe cleaner is not touching the bottom. Ours touched and although the crystal ornament was fine once gently pulled away, it did stick! We made similar crystal hearts in my son’s 2nd-grade classroom. This can be done! We used hot water but not boiling and plastic party cups. The hearts either needed to be smaller or fatter to fit in the cup. Plastic cups are generally not recommended for growing the best crystals but the kids still were fascinated by crystal growth. When you use plastic cups, the saturated solution can cool too quickly leaving impurities to form in the crystals. The crystals will not be a sturdy or perfectly shaped. Also, you need to make sure the kids really don’t touch the cups once they have gotten everything together! The crystals need to remain very still to form properly. Once set up, I recommend making sure you have space away from everything to fit the number of cups you have! 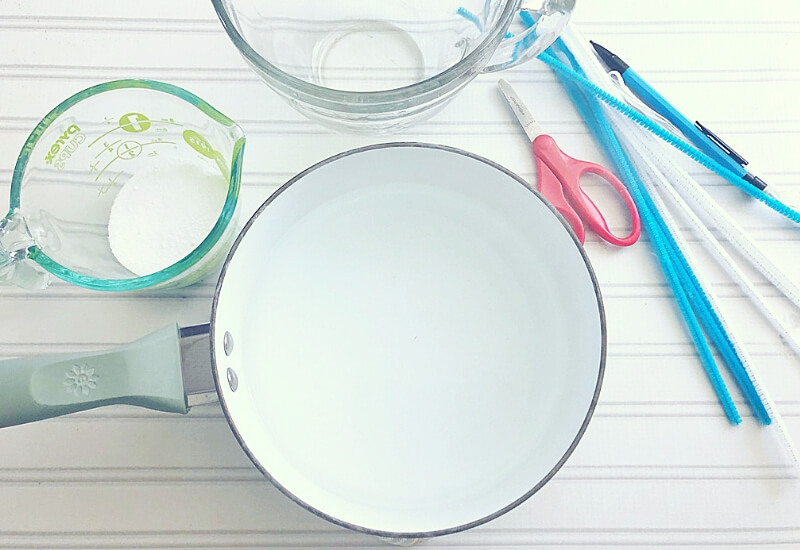 Update: You want to dissolve 3 tablespoons of borax powder for each cup of boiling water. This will make a saturated solution which is a great chemistry concept. Since you need to use boiling hot water, adult supervision and assistance is highly recommended. Water is made up of molecules. When you boil the water, the molecules move away from one another. When you freeze water, they move closer to one another. Boiling hot water allows for more borax powder to dissolve to create the desired saturated solution. Once you have filled your jars with the borax solution, hang your snowflakes or icicles down inside the jar. You need to make sure they are fully emerged but not touching bottom or sides of jars. YOU MIGHT ASLO LIKE Crystal Hearts for Valentines Day! You read a little bit about saturated solutions and mixtures above when you made the borax solution. Within the liquid, there are still large particles that will settle slowly. Those particles land on the pipe cleaners and of course the bottom of the jar. As the water cools, the water molecules return back to their normal state, and this is when the particles start to settle. If the cooling process is too quick or the jars are disturbed, you may end up with irregularly shaped crystals. This is because the impurities were not able to separate. Let your crystals work their magic overnight. We were all impressed by what we saw when we woke up in the morning! Not to mention, we had some really beautiful ornaments for the tree! Or you can hang them in the window like a sun catcher. Make quick and simple crystal snowflake ornaments and icicle ornaments to hang in your window! Growing crystal snowflakes is a great Winter science project. 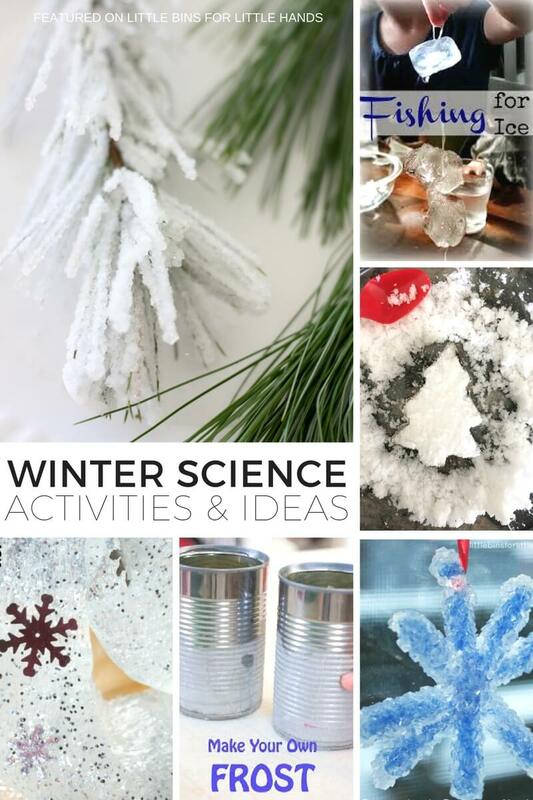 Check out more wonderful winter science ideas…click on photo below. I just saw this on Pinterest — and pinned it. This is such a great idea — and so beautiful! I absolutely love the icicles. I’m going to make some with my grandchildren. I invite you to share this idea at my Party in Your PJs link party on my Grandma Ideas site http://grandmaideas.com. I think that my readers will like this idea as much as I do. Feel free to share a couple more links, too. Thank you! Plus it really is just so easy to make! Holiday . Thank you ! It’s so perfect for kids of all ages to enjoy. Glad you found us! Love these! Can I suggest one change though? 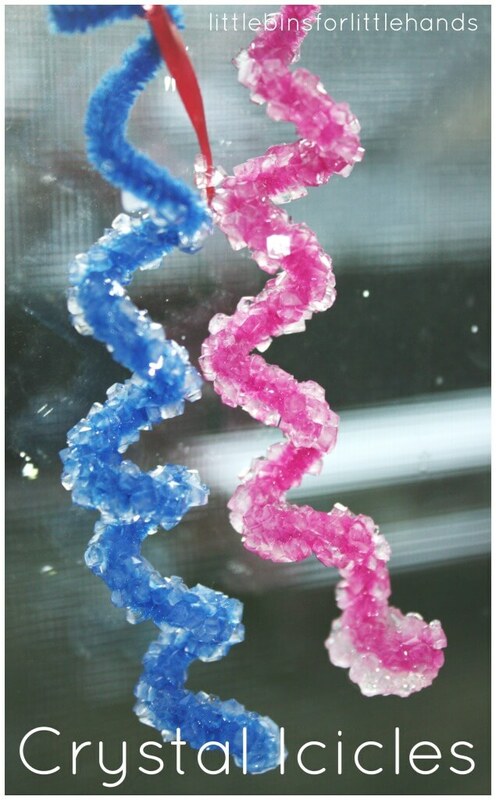 Borax can be dangerous for little ones by ingestion (or pregnant women!) so you can use alum instead!! You can get it off Amazon, it’s used in pickling so it’s not as toxic. I wish more bloggers knew and wrote about the potential hazards of borax!! can you do this in plastic cups? does it have to be in glass???? You can do it in plastic cups. We did with a group of kids that way. The mixture does cool down faster resulting in less stable crystals though. Im in charge of our art projects in my pre k class. This is a really cool idea and was wondering if it would be possible to premake the solution the day before, then have the kids make their pipe cleaner snowflakes and insert it the next day. I have no place to boil water in class and cant have 4 year olds around boiling water. I love this idea and want to make it work if possible. Unfortunately, this would not work well for growing crystals. I would suggest for this age group that you try our salt crystal variation. With either recipe, you could use a coffee urn filled with very hot water though. We did this with my son’s 2nd-grade class. You will not get as wonderful results but you will see some crystals grow. The salt crystal ingredients are more friendly if you have kids who will put their fingers in their mouths during the process. Hello! I love this idea!. Thank you for the great tutorial! I have a quick question for you. What would you say is the learning outcome for this activity? In order for me to do it with my class, my director will want me to tell her specifically what the children will learn. I am thinking fine motor skills while shaping the snowflakes, but I know there is more here! I am drawing a blank. Any suggestions? Thank you again! I tried this yesterday with my 5 year old as we are studying crystals in minerals in science. I’m a bit confused about the 1:1 ratio. We did everything exactly as you said using 8 cups of boiling water and 8 TBSP Borax. We left it totally alone and this morning there are no crystals at all. Did you mean 1 cup water to 1 CUP Borax for the 1:1 ratio? We’d like to try again. Just disappointed trying to figure out what went wrong. Do you need to let the water and borax boil together for awhile? Thanks for your help! Many apologies, this was written incorrectly. You need 3tbsp per 1 cup of water!